Now that the turkey is eaten, and the family has gone home, it’s time to Shop Small in Cherry Creek North today! 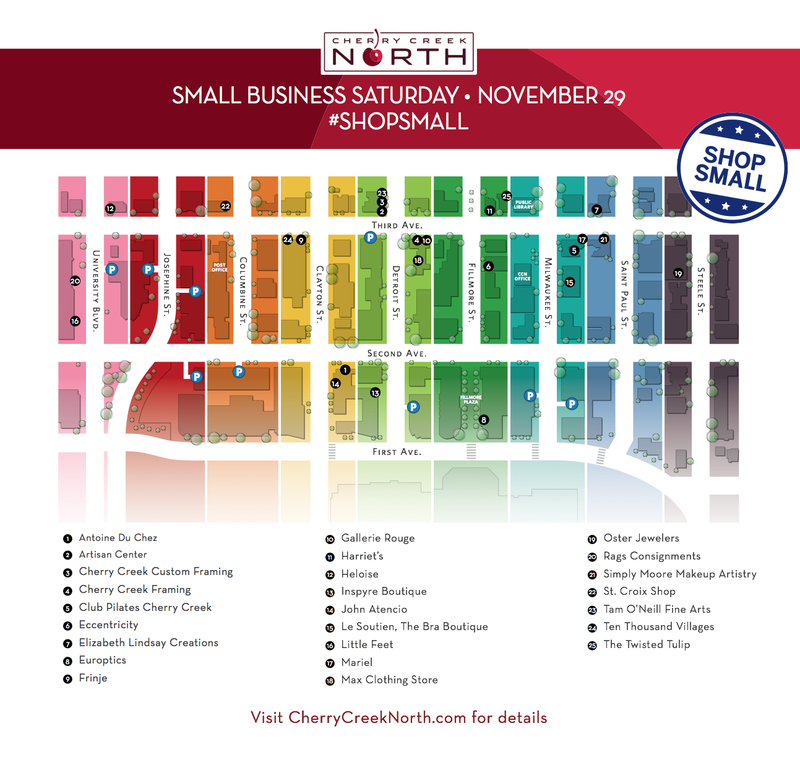 Head to your favorite places in Cherry Creek North and find great deals on this Shop Small Saturday… This map will help guide you around the North with these participating stores. Support your local neighborhood and #shopsmall today ! Thanksgiving savings at Alicia The Boutique!